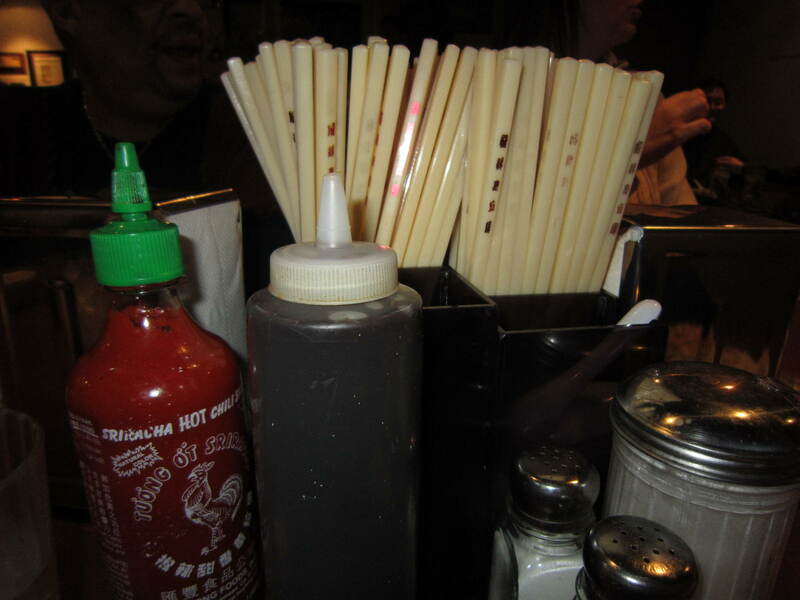 Pho (pronounced “phau”) has become very popular in the last few years. Pho is a Vietnamese noodle soup consisting of broth, linguine-shaped rice noodles, a few herbs, and meat. 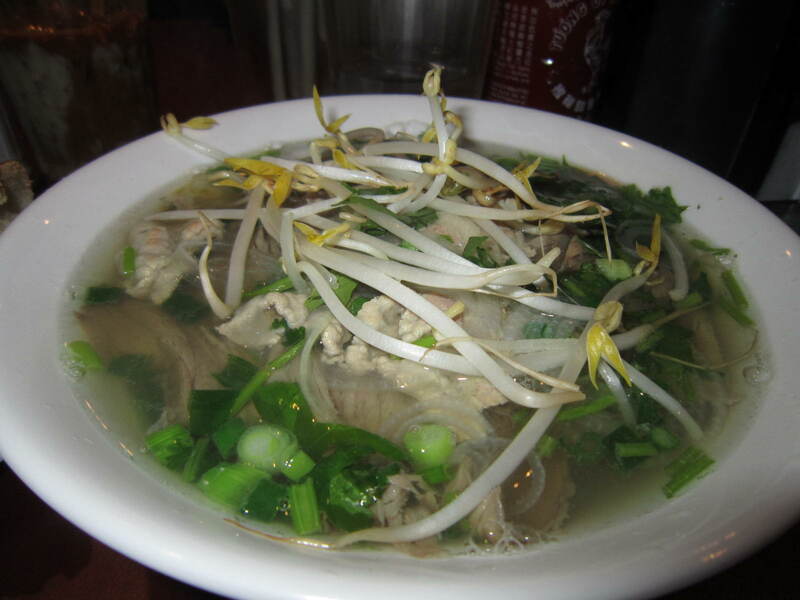 Pho originated in the early 20th century in northern Vietnam. In the aftermath of the Vietnam War, Vietnamese refugees brought pho to many countries. The consensus among foodies is that Superior Pho is the number one place for slurping pho in Cleveland. It has been voted Cleveland’s Best Asian Restaurant in Scene Magazine and has an average rating of 4.5 stars from 217 reviews on Yelp. It is located inside a rather unassuming shopping plaza off of Superior that features several other ethnic restaurants (including a Korean restaurant), and the best way to enter is from the parking lot in the back. It is not visible from the street (look for No. 1 Pho and turn down E. 31st to park). You really have to look for it. 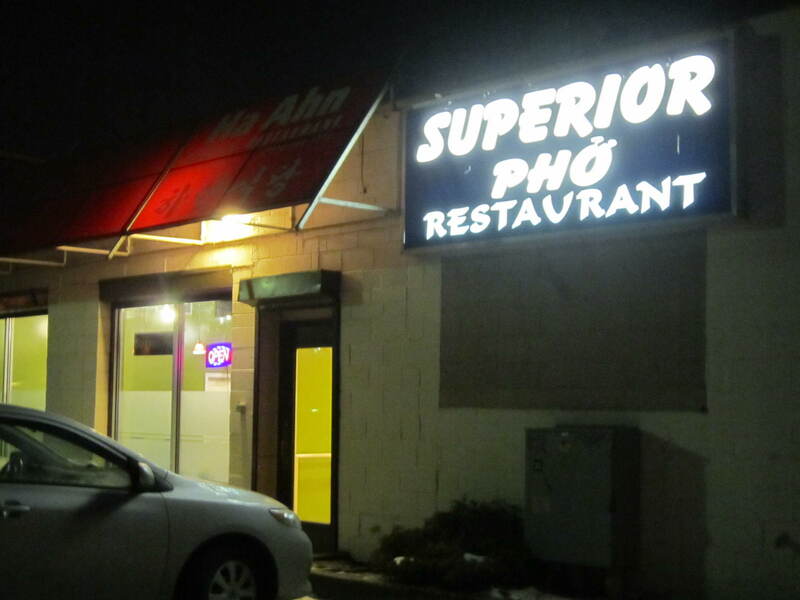 Superior Pho was one of the first pho houses in Northeast Ohio and still remains one of the best. Superior Pho without a doubt has excellent pho, but I also like some other things off their menu. 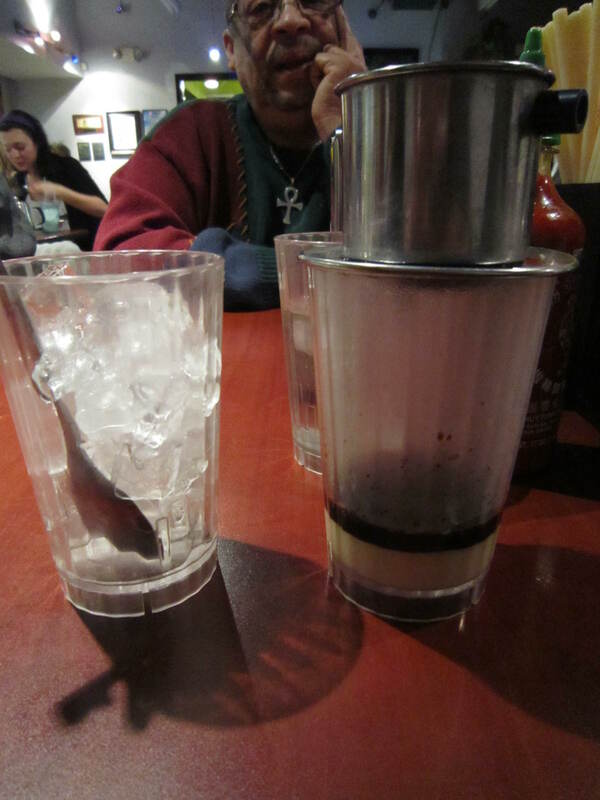 I started my meal with a Vietnamese coffee. Water percolates through strong coffee grounds into a cup with condensed milk. It definitely gives you a caffeine jolt – and is fun to watch. The spring roll is made with delightfully fresh and crisp ingredients, including shrimp, carrots, cucumber, Thai basil and mint, wrapped in a rice paper wrapper. 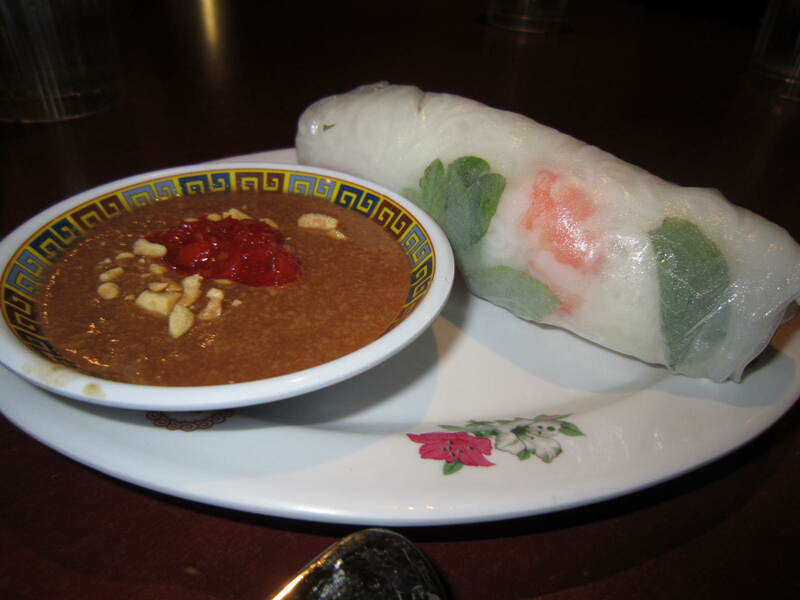 It is served with a lovely peanut-chili dipping sauce that gives it a little zing. Pho is available with a number of different meats, including tendon and tripe. I always order the Number 10 combination because it features a banh mi and a large pho of my choice. I usually order the Phở tái chín, which is a combination of well done brisket and eye round steak). The pho is always piping hot and plentiful. To make pho, a small mound of vermicelli noodles is topped with beef or chicken, then covered with ladlefuls of fragrant pho broth. The steaming bowls are served with a plate piled with fresh bean sprouts, sprigs of Thai basil, slices of jalapeno peppers and slices of fresh lime, which are used to adjust your pho to taste. Purists don’t add hoisin, Sriracha or fish sauce to the pho (they prefer to put it on a plate and dip the meat in), but I like to mix a couple squirts of Sriracha hot sauce. There is no wrong way to eat pho. The piping hot broth cooks the meat and vegetables as it is being brought to your table. I made the mistake of ordering pho to go once. The broth had cooled too much to properly cook the meat. Never again. Superior Pho’s banh mi is also excellent. 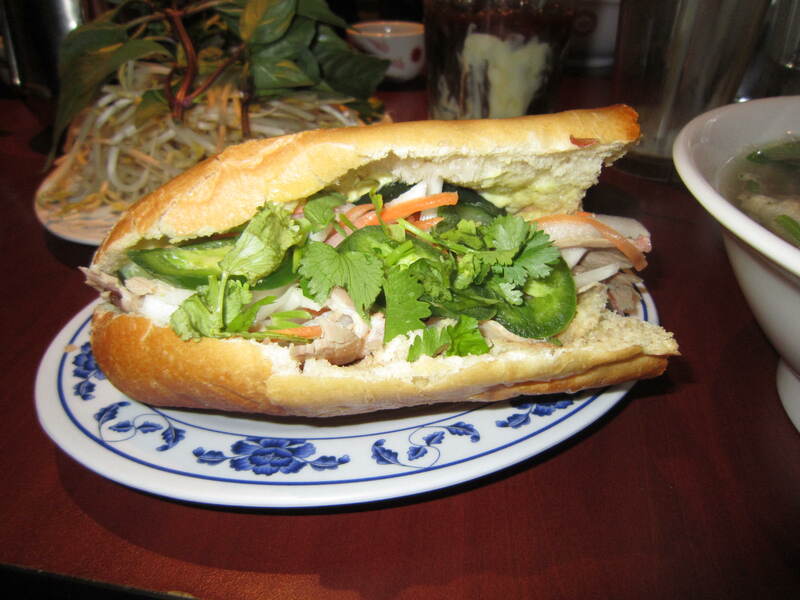 It features roast pork, pate, cilantro, jalapeno slices, and shredded cucumber and radish on a crispy roll. The roast pork is not char-grilled like at Saigon Grille, but it is still a nice sandwich. I have never had a bad one here, and I have eaten here quite a bit. They also offer Combination Meals that give you a bit more bang for your buck. Shown here to the left is Meal #1, which is a spring or summer roll (your choice), small pho of your choice, and a beverage for $11. I usually order the Meal #10, which is a bahn mi, a large pho of your choice, and a beverage for $13.50. Try to come at off-times, because there are lines and it is often standing room only during peak times. Come hungry and be prepared to bring leftover pho home, because even the small pho is quite large.